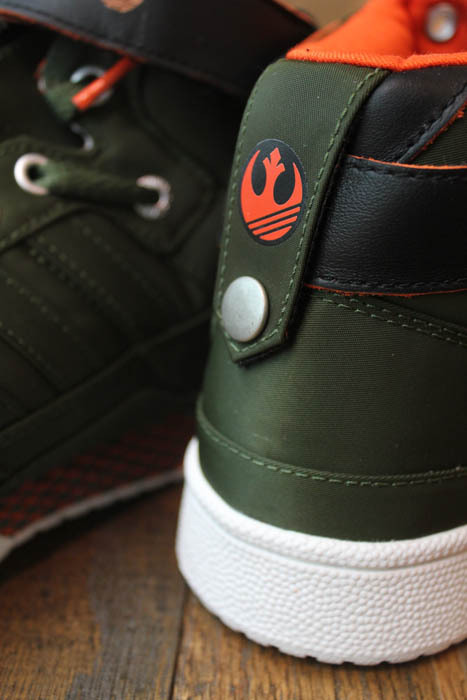 adidas Originals Forum Mid Star Wars - "Han Solo"
Arriving at adidas Originals accounts this month is a new Forum Mid from the Star Wars Collection inspired by Rebel Alliance general Han Solo. 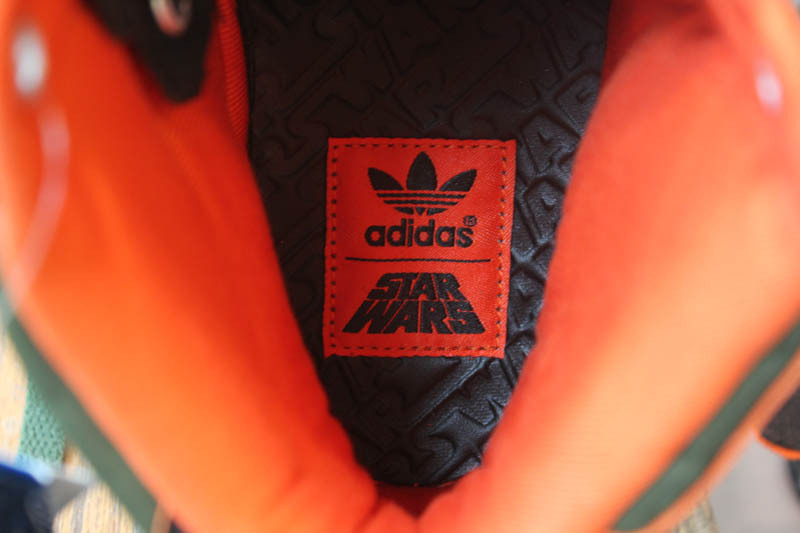 Arriving at adidas Originals accounts this month is a new Forum Mid from the Star Wars Collection inspired by Rebel Alliance general Han Solo. 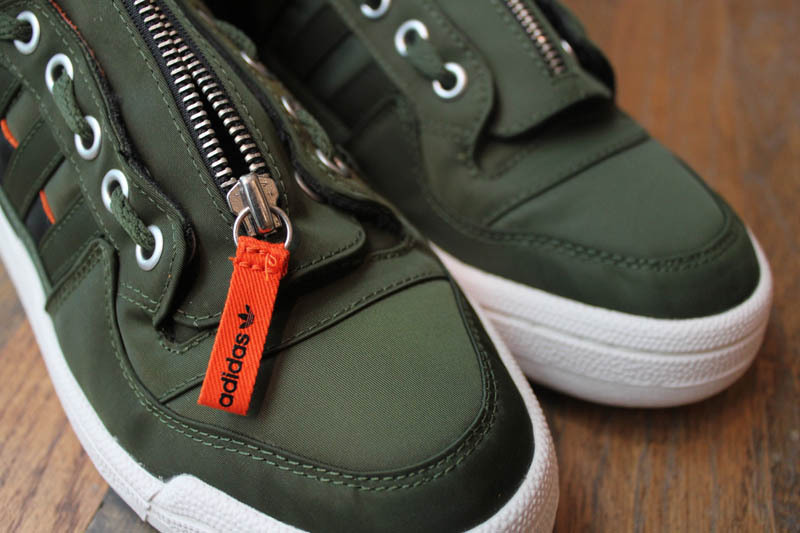 Taking on a military flight jacket theme, the shoe features an olive green nylon build with metal zipper detailing. 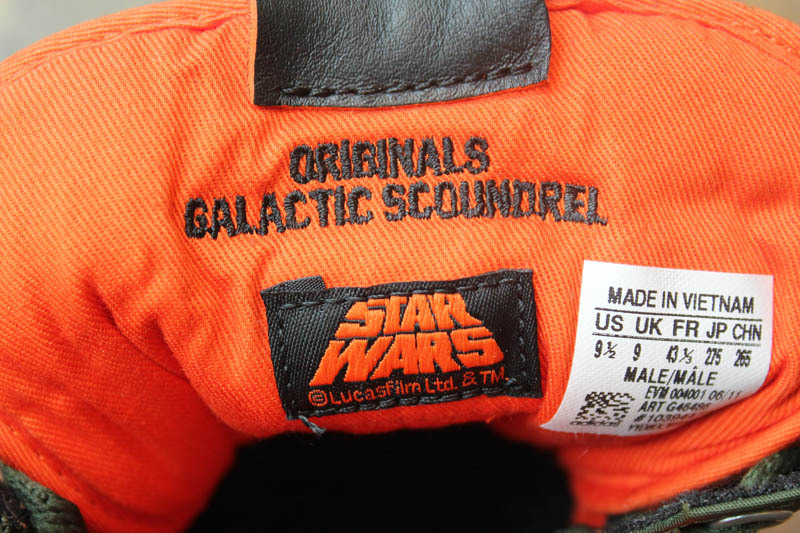 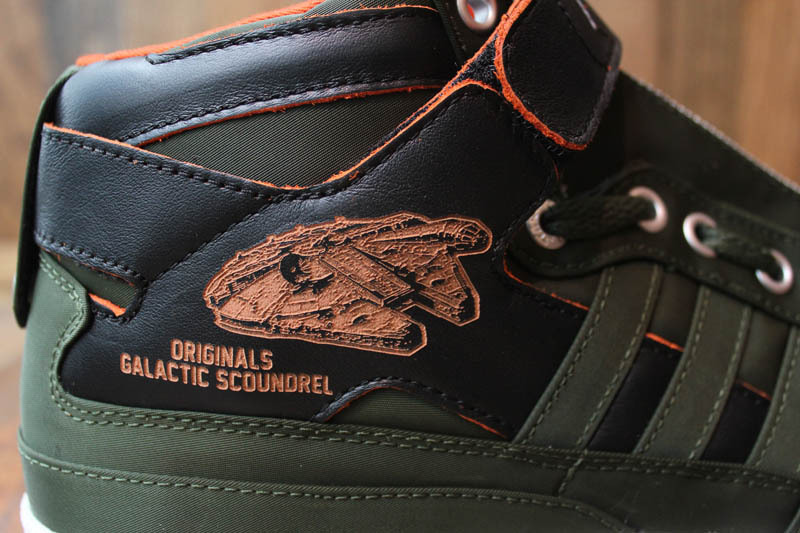 The tongue is adorned with a Han Solo Portrait, while a Millenium Falcon graphic and "Galactic Scoundrel" text are etched into the lateral side panel. 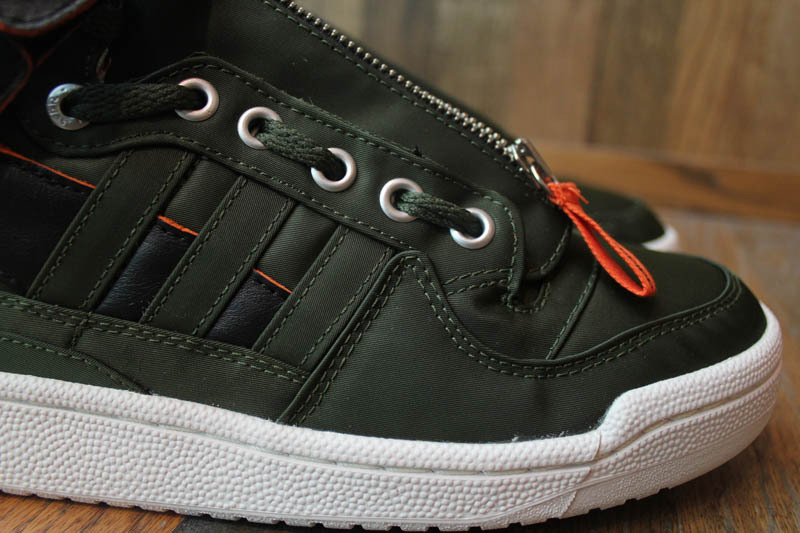 The inner liner is done in vibrant safety orange textile and a chunky white rubber outsole finishes off the look below. 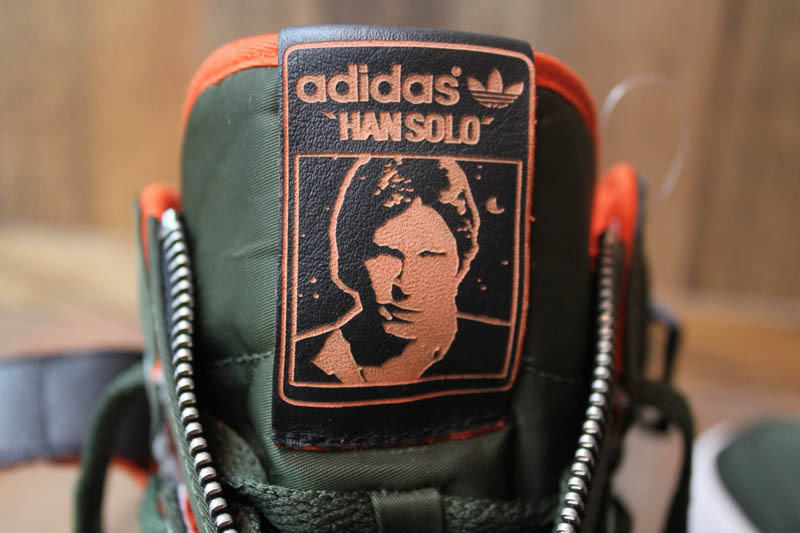 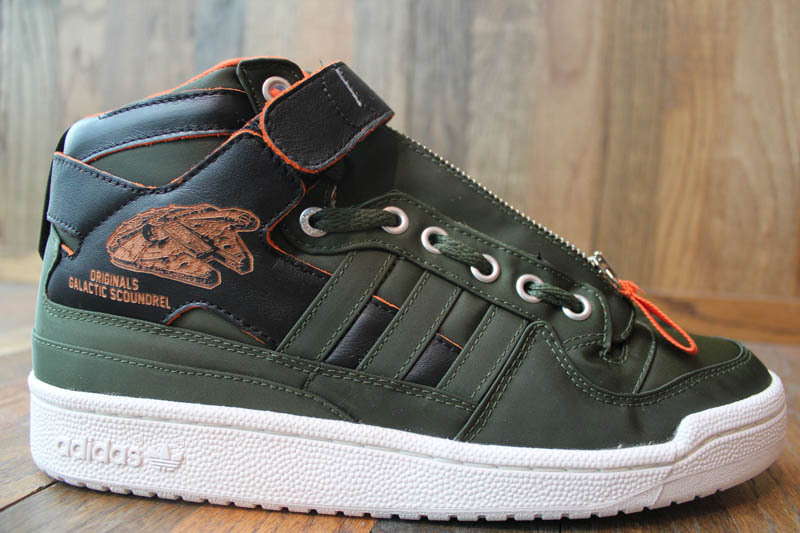 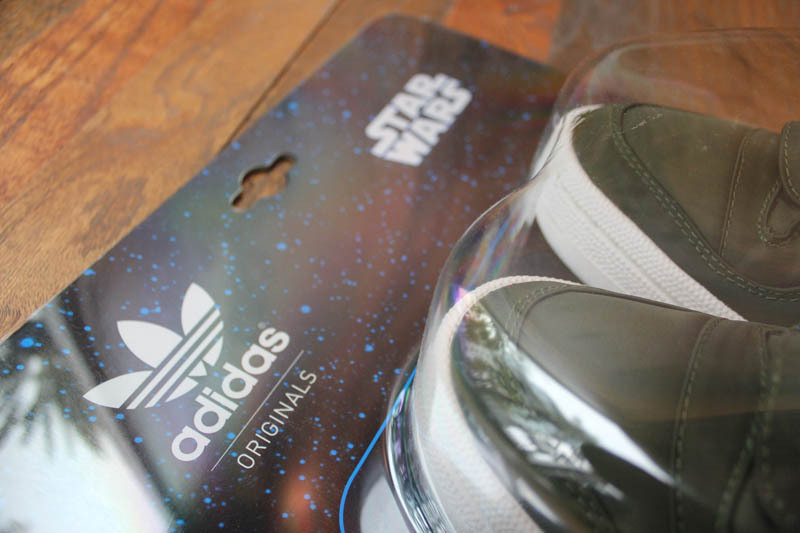 Look for the "Han Solo" adidas Originals Forum Mid S.W. 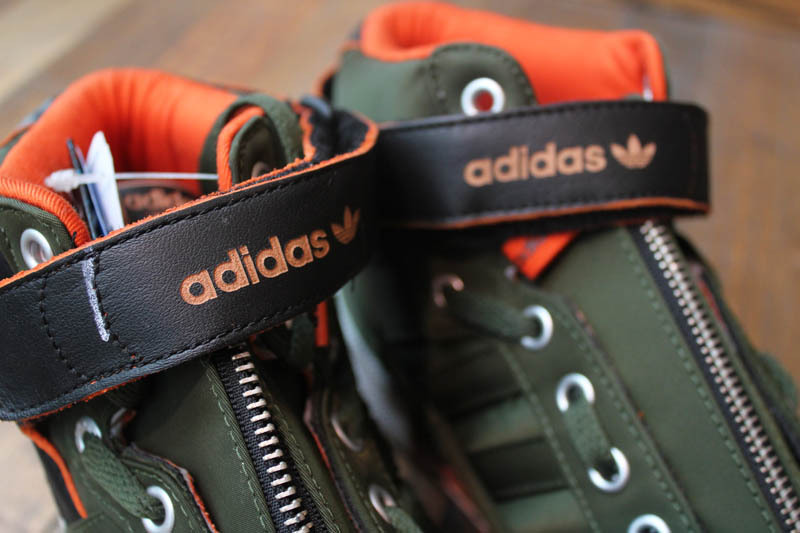 at spots like Mr. R Sports today. 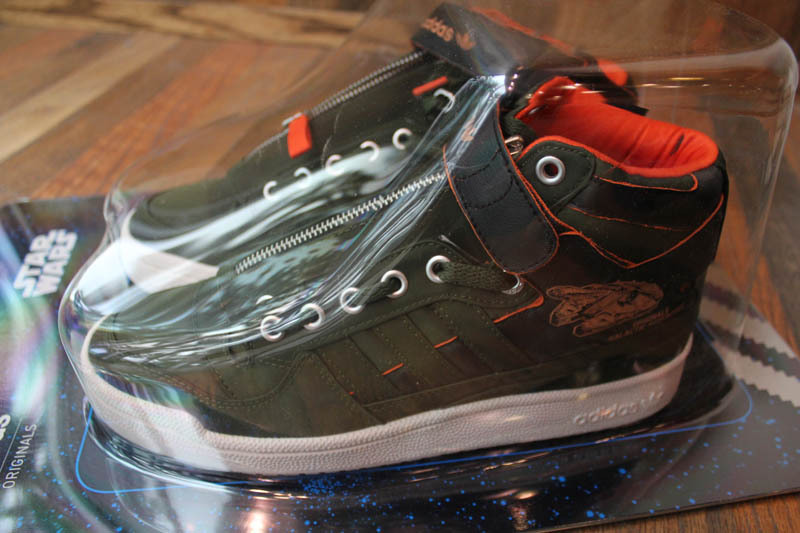 Retail is $160.